After the long cold winter, many of us are anxious to get outside. Even though it is officially spring, some days it’s still a little chilly. For those who like relaxing on the porch or deck every chance they get, converting your outdoor living space to a three season room can be a great way to maximize the time you spend enjoying it. There are a lot of material options when it comes to building a three season room and Eze-Breeze® windows are one of the best choices to help you make the most of it. 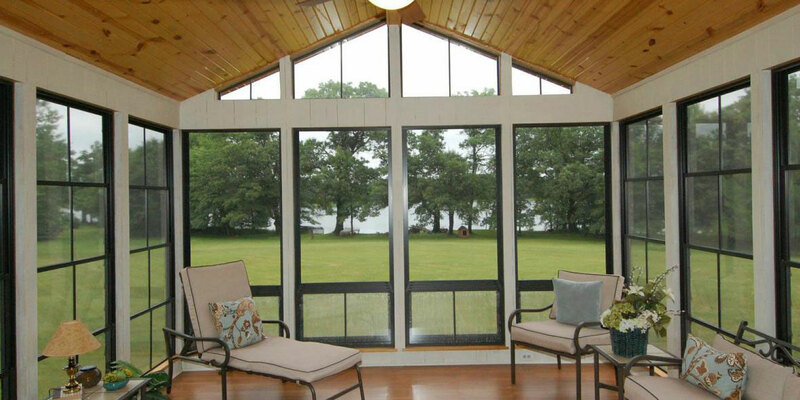 Eze-Breeze® windows are made with aluminum frames and a 10 mil polyvinyl. These vinyl windows can be made clear or with a tint, just like glass, and will provide the look of glass. A three season room offers many additional benefits beyond just extending your living space and the time you spend enjoying it. The three season room isn’t considered a fully finished space as it does not include the heating, cooling, and insulation involved in a climate-controlled four season room. This makes it a much more affordable option that can still provide you with many additional months of enjoyment as opposed to a simple deck or porch. Also, Eze-Breeze® windows are much less expensive than glass windows and will not shatter like glass. The Eze-Breeze® vinyl windows are very durable and weather resistant, a much better choice than plastic windows or plexiglass. While the temperature isn’t completely controlled in a three-season room, enclosing it with Eze-Breeze® windows will allow you to keep the weather out or let it in as you want. Do you hate covering your outdoor furniture or dragging the cushions in everytime it rains? With Eze-Breeze® you’ll be able to enjoy the watching and listening to the rainfall while you and your furniture remain dry and comfortable. On a nice day, you can simply slide open the Eze-Breeze® windows and let in the fresh air. Sometimes you just want to enjoy nature without the insects and airborne allergens. With an Eze-Breeze® three season room you can protect against both. If allergies aren’t an issue, you can open the window and let Eze-Breeze® screens keep out those pesky insects. If you do have allergies, you can keep the windows closed and enjoy the view from your three season room, allergy-free. Eze-Breeze® windows are available in two styles – vertical four-track windows and horizontal sliders. The vertical four-track windows slide up and down and have four panes. These panes will slide and interlock one on top of the other so that all four panes can be lowered or raised to the same location. These Eze-Breeze® windows will provide 75% ventilation. Eze-Breeze® horizontal sliders will slide left to right. There are typically two panes that can be slid to one side or the other. These Eze-Breeze® windows will provide 50% ventilation. They can also be made wider and are a good choice for spaces over 54 inches wide. In addition, Eze-Breeze® also makes doors and fixed panels that can be used as a transom above a door. Eze-Breeze® windows can be made with or without screens and offer superior durability, versatility and convenience. 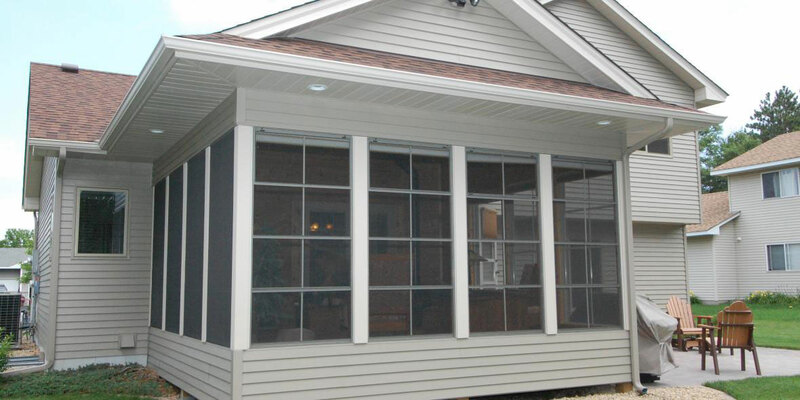 Many people cover their screened-in porch with plastic or plexiglass every winter. With Eze-Breeze®, it’s a one-time process allowing you to sit back, relax and enjoy your three season room. You can also add your own amenities such as a ceiling fan for the warmer weather or a space heater when it’s cooler. If you are ready to turn your porch or deck into more comfortable and relaxing area that will extend your living space and boost your home’s curb appeal, Toms River Door and Window can help. We proudly offer Eze-Breeze® products and professional installation. Since 1971, we have been providing Ocean and Monmouth Counties with high-quality window and door installation services. Toms River Door and Window has decades of experience working with all types of replacement windows and doors, and our craftsmanship and commitment to customer service can’t be beat. We have a complete showroom and design team to help you find the best products for your home, and our experienced professionals will walk you through every step of the process. For quality Eze-Breeze® installation or any window and door needs, schedule your consultation today!